Mari is hosting a very fun contest: she's asking her readers to post pictures of their bookmarks. Those who do so before the first of May will be entered for a prize. I'm seriously addicted to bookmarks, so I was all over this idea. And plus, I like looking at other people's bookmarks just as much as I like looking at other people's book piles (bookmark snooping?). So I hope lots of other bloggers decide to participate. 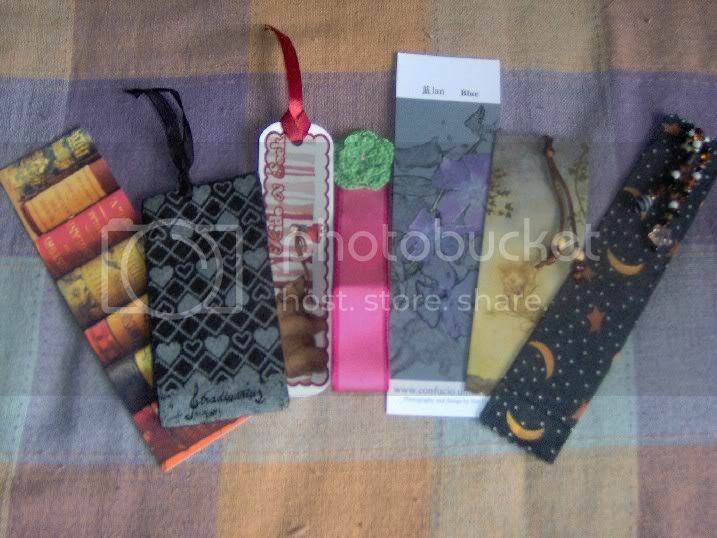 I have a huge collection of bookmarks, and I never miss a chance of making or buying more. One of the reasons why I like collecting them is that it gives the chance to, when I start a new book, pick whichever bookmark seems to fit its mood better. Does anyone else do this? I have other book bloggers to thank for a lot of these, which makes me like them all the more. The one on the left came today with a book order from Small Beer Press. I made the one after using clothes tag. The lovely pink ribbon one was made by Chris and I won it during a read-a-thon. The second to last one is home made as well. First of all, I have the lovely Robin to thank for The Raven Steals the Light by Bill Read and Robert Bringhurst, a collection of Haida myths which she sent me after I commented on her review. She also included a beautiful card and a "cozy book corner" bookmark. Thank you so much, Robin! I can't wait to read the book. Then today I got a set of two beautiful tiger bookmarks that I won from Jeane, plus a handwritten letter from Eva. I love the bookmarks (which you can see on the first picture, along with Robin's) - tigers are among my favourite animals, and now I'm craving a good nature book just so I can use them. (Well, I know could use them elsewhere, but they feel right for a nature book.) And there's just something so special about handwritten letters. Speaking of which: I'm also supposed to to be penpals with Chris, and I have written him a letter. But two months later, I have yet to mail it. I'm terrible, I know. See, this is why I didn't write a post asking who wanted to be my penpal, even though I love the idea. But Eva inspired me to get my act together, so one of these days I will. Seriously, I'm still a little bit speechless here, and probably not making much sense. (I'll shut up about peanut butter now.) Thank you so, so much. This made my whole month, possibly my year. It was like Christmas all over again. See, if anyone still had any doubts, here you go: photographic evidence of how awesome book bloggers are. Yay! I love the yellow one in the first picture. :)Thanks for sharing. They all are lovely. I think your postman is Santa too! Your books look great! You seem a little hyper right now, but it's okay. ;) Happy reading. Is that ever a lot of bookmarks! I used to have scads, but these days I just stick to two: one for fiction, one for nonfiction. And what an awesome haul you got! Mail is wonderful. Book-based mail is like mana from heaven. I absolutely love bookmarks too. I buy some everytime I go to the bookstore. I keep them organized by color and change them around depending on the book that I'm using. I especially love the magnetic types or one's with poems on them. That is so nice of Amy. I'm sure that musta been very exciting to get in the mail. Enjoy. Amy is awesome! I love the ladybug bookmark you made. 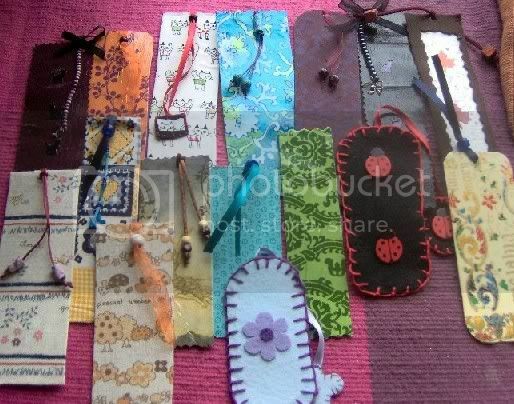 Your bookmarks are beautiful - you have made me feel bad as I did promise to make some. I printed all I needed to scrap them and then never got round to it. Will definitely make a concerted effort to make them once the children go back to school. That collection of books looks fabulous. I nearly bought Wicked Lovely on my birthday - can't wait to hear what it is like. Enjoy your choccies. No shame in bookmark snooping - I love having bookmarks in my books and I'm always happier when I open a book and see a real bookmark as opposed to a random ticket stub that was nearby when I had to stop reading. And I'm incredibly jealous that you own Drood! Wow, you certainly had a fantastic day for mail! I don't blame you for being so excited. I'm sure I would have been to. Your post had me smiling. I'm glad you're so excited! Plus - I love your bookmarks! I'm impressed. 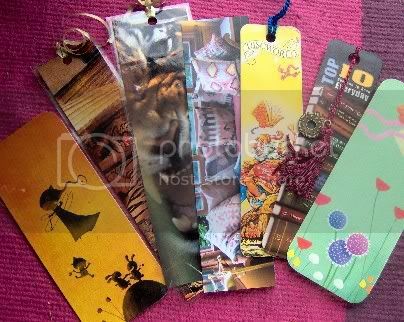 Gorgeous bookmarks, you've made me want to make some too, but I've never been very artistic so not sure how they would turn out! Randomly I never realised you didn't live in America. I hated Peanut Butter as a kid, but have come to like it recently - but not as much as suflower honey, my fav. Oh my goodness, what a bunch of sweet bloggers! But then you're oh-so-deserving of sweet things! I'm going to do a bookmark post later this month. Most of mine are promotional and not as pretty as yours! As for bookmarks, I'm afraid I can't help: I almost never use them, and if I do it means the book is REALLY bad/boring! Wow, you have a lot of bookmarks! It made me smile to see mine tucked in there- I'm glad they arrived safe to you (quicker than I'd thought) and that you like them! I'll be interested to hear what you think about Dark Sea of Darkness. It's ... but telling a review beforehand ruins all the fun! I'll just sit here with my hands politely folded and wait. I love bookmarks too. I just don't have very many. It seems the girlies like them as much as I do...and they always seem to find their way into THEIR books instead of mine!! Maybe I should start collecting them myself!! What an awesome haul!! You deserve getting presents in April, that's for sure! Hope you enjoy all your loot! Mari: that one was made by this Etsy artist. I love her stuff. Scrap Girl: Don't feel bad, you can still make them whenever! I bet they'll turn out great. Lena: Don't worry; I'm totally shameless about my bookmark snooping :P I hope you get your hands on a copy of Drood soon! Debi: Awww :D I can't tell you how happy it makes me to hear that about Max! Scribacchina: We don't have Jumbo here, but we do have Continente, so I'll definitely have to look for it! I think that more than wary, people are just unfamiliar with it. We hear of it in American TV shows/movies/books but never actually SEE the thing, it seems :P Re you not using bookmarks: uh oh...hopefully you have friends who'd like them as gifts? :P This comment will make sense in a few days, lol. That's just awesome Nymeth! You're very lucky. I love bookmarks as well. I usually pick one suited to the color of the book strangely enough. and fabulous package in the mail! 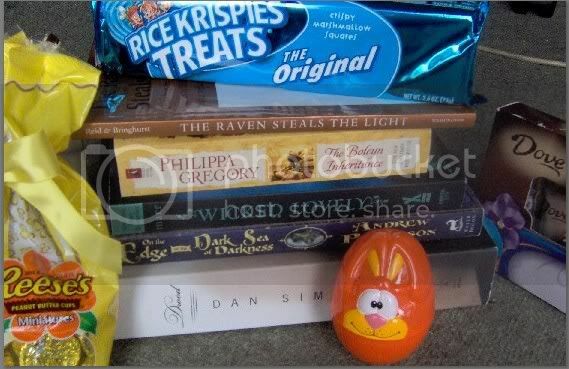 oh my gosh, chocolate, books and marshmallows...thats heavenly. Love the bookmarks! I recognize some Etsy art there! 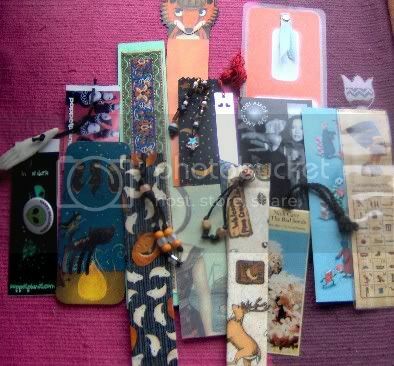 I have a collection of bookmarks but find as often as not I use the business cards that Anne-Julie Aubrey and Jennifer Gordon send with the stuff I get off their Etsy sites. They are small enough to not damage the book and they are just plain cool. I am so happy to hear about your mail deliveries. You are one of the sweetest people that I've found here in the blogging world - it just shows you that lost of people share that opinion. Whew that you like peanut butter, because I LOVE it. :) and especially the combination of peanut butter with chocolate! How fun! I love all the bookmarks, and am enjoying using the ones you sent me! And I'm happy you like the book and look forward to your review when you read the stories. And all that book loot... well, it couldn't happen to a nicer person (as my Dad used to say)! First of all, what beautiful bookmarks!!! I like everyone of them! And yes, bookbloggers ARE the best!!! You have quite a bookmark collection there! I've never thought of matching the bookmark to the book--what a neat idea! Oh boy do I have bookmark envy. I actually didn't start using bookmarks until recently--usually just stuck a scrap piece of paper in my book. 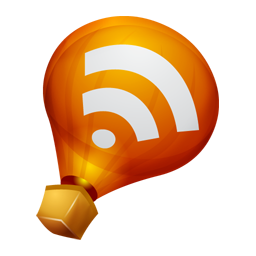 I've kind of been up and down about blogging the past couple of weeks with all of the posts and comments going around (and yes, I know I've contributed a bit). But your remind me everyday why I really do love blogging. Book bloggers ARE awesome. I used to love writing letters but haven't done it in a while (now the only people I handwrite are my grandparents). I love the idea, but like you I let my letters sit for far too long on my desk. Boo! I love your bookmark collection so much! I love my bookmarks too. I have that one that Susan sent you! She sent me the same one..I've been using it like crazy. I feel so bad...I really have to write her back! I've been a horrible penpal. Don't rust on getting the letter to me...I should've written you first anyway! It's horrible that I haven't. I'm sorry!! lol. Great post, Nymeth! Yay for Drood -- I hope you enjoy it as much as I did! Love your collection of bookmarks. Like you, every time I start a new book I choose a bookmark to fit my mood. I just bought a cute one with gnomes. GNOMES!! wow, that is one big stash of lovely bookmarks. Although I'm not realyl fussy about bookmarks I do love to own them. And AMy's books selection is wonderful. I've been wanting to read Wicked Lovely. what a great collection of book marks!!.. wow.. you made a haul !! I have Drood waiting for me to crack the cover.. I hope we both enjoy it ! Yay, now you can read Wicked Lovely! I hope you enjoy it... It's a series, you know... I had thought only a trilogy, but I was wrong... So, another series that I will probably never be caught up in! Your bookmark collection is awesome! I really like the homemade ones a lot. Congrats on the new arrivals, some of those books look great. I can't wait to read the review for Drood. Ooooooh. Bookmark pictures! They're great things, aren't they? ^-^ So pretty and useful... Are the ones you made all cloth, by the by, or is that my eyes deceiving me? I love them all. My most treasured book mark is the one my boys made for me!! those are gorgeous bookmarks! I love them all...I think I have many myself, though they are all in books except for a few. Wow, it really was Christmas at your house...happy reading...and munching! Naida, thanks :D And yes - what else can one ask for? Carl: Yep, there are some Etsy ones! And using those business cards as bookmarks is an excellent idea! Christina: Aww, thank you so much. I am seriously touched :) Otter bookmarks! That would be perfect! Wisteria: I can't wait to see yours! Robin: Awww :D Thank you again. You're too sweet! Trish: On a totally unrelated note, I went to the post office yesterday. Just thought you'd like to know :P And thank you so much, Trish. Your blog always reminds me of why I'm here doing this too. Chris: She sent me peanut cutter cups, and it IS indeed a heavenly combination! I've so been missing out. The one Susan picked for us is great, isn't it? I've been using it a lot too :D And don't worry about the letter! I mailed yours, so wait until you get it and then take your time replying. Seriously, no pressure at all. Melissa: It is new! I added it after you taught me how :D Thanks again! Violet: It sounds like such a great book! They all do, actually...she knows my taste! Deslily: I hope we do too! Amanda: I want to read The Woman in White first, as I suspect that will make it even MORE enjoyable! Kailana: Me and series...I'm starting to believe I'll never catch up, but oh well. Did you know Flora Segunda has a sequel too? We're doomed :P And eek! I'd be scared of food poisoning if I were the BOTH of you! Zibilee: Thank you! I can't wait to read Drood either. Shanra: I used cloth, felt (which is technically cloth too, I guess :P) and paper. Some are paper with this glue/varnish thingie that makes them plastic-y and shiny. And some are laminated. I'm glad to hear Wicked Lovely also works as a stand-alone, even though I suspect I'll want the sequel asap. Katrina: My bad, I should totally have spotted that! YAY!! :D You just made my day. I also very much like your bookmark collection. I must admit I always lose my bookmarks. I mainly forget them inside books and then find them years later...But you inspired me to start a collection of my own. I'm thinking of getting a shoe box and stash them all there! I used to be a great pen pal. Used to write pages and pages of handwritten letters to so many people that I never met, but when internet entered my life my letter-writing slowly started to deteriorate and now it's almost non existing! Oh, I loooove bookmarks, too! I also carefully choose my bookmarks to match the book I'm reading. I hadn't heard of this contest -- thanks for the link. What wonderful loot to find in your mailbox! Posting about bookmarks sounds like fun. You had some fabulous bookmarks. I'll have to see if I can round up some of mine for a post. I'm a little disorganized right now (that and my kids like to steal my bookmarks). I have lots of bookmarks dotted around the house but there is no way I could find any if asked where! I tend to use envelopes and pieces of folded paper as bookmarks. However I now use the two you sent me first and then bits of paper second. Those are some awesome gifts! I only eat peanut butter in peanut butter cups and I try to stay away from those because I'm addicted. You got an awesome collection! I love the yellow 'dancing' bookmark that's one of your favourites too! And I can see why you believe in April-Santa. A good blog friend also sent me two good books two days ago so I know the feeling. What a lovely collection! I too love the yellow *dancing* bookmark. I hope someday to win one of your creations--! And what a great set of books.. you deserve them!